I was happy to be on the water and have my task for the day. But as paddling wore on, I'd forgotten how lonely I can get being the point boat. Paddling in front of everyone and on my own, it was hard to see the group behind me. I'd received minimal instructions throughout the day, and my only connection to the group had been listening to the coaching on paddle strokes happening behind me. I was starting to feel distressed and separated from the group. Just then, one of our instructors paddled up to me and asked if I was feeling lonely up front. "Yes!" I exclaimed, relieved and joyful to have someone tune into feelings that, at the time, I was only partially aware of. For me, this is the moment the non-linear leadership that characterized our course began. Little did I know the impact this modeling of non-linear leadership would have on me. What do I mean by non-linear leadership? The ability to facilitate transformation of a core characteristic of a group so that it can achieve a goal. This core characteristic often seems unrelated to the stated group goal. 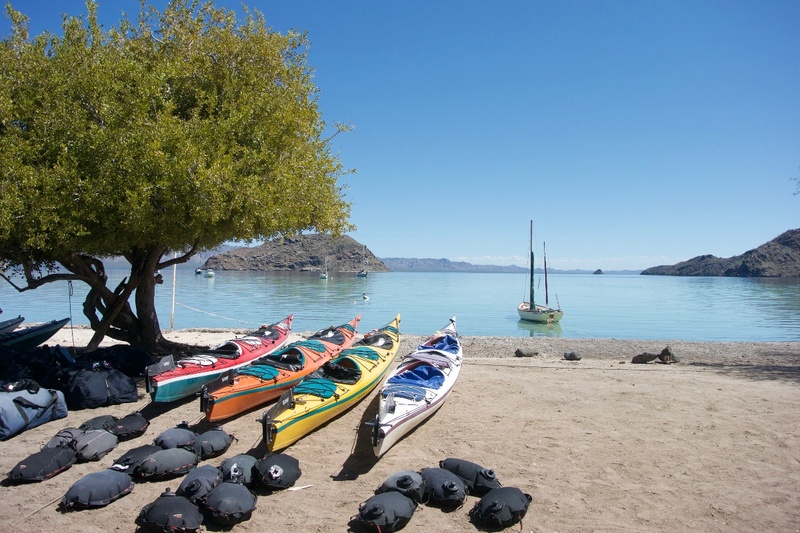 In our case, the stated goal was to paddle to Bahia San Sebastian, our take-out point. What was in our way? As I suspect is true for many groups, it wasn't only the obvious challenges, like the weather. It was a lack of confidence in our abilities—self-disempowerment—that was the characteristic our group needed to work on in order to transform. It would have been easy for the instructors to focus on technical skills alone, pressure I've often felt in my professional and personal lives too. We had a lot to learn: basic paddling strokes, how to set up a tarp, tie the knots to keep it up, toiletting, and cooking those unidentified bags of white powders. Fortunately, our group engaged in developmental and transformational processes that went much deeper than these practical skills, in order to reach our stated goal. Our non-linear instructors prioritized holding space for the emergence and formation of our group identity. 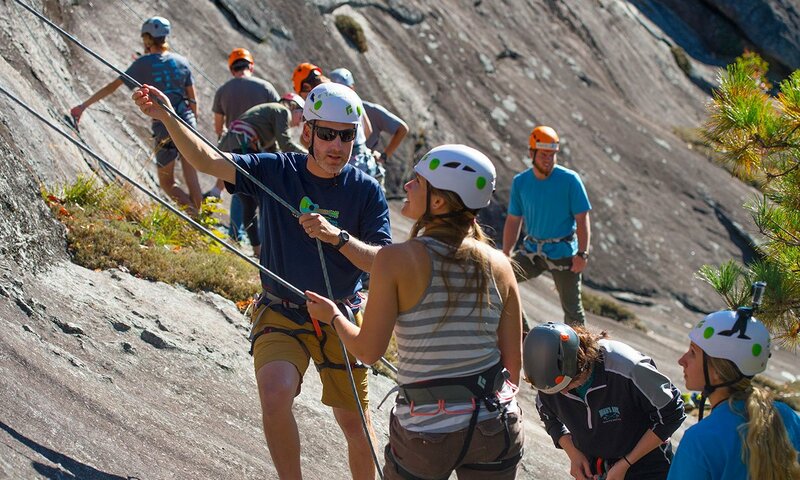 The instructors offered opportunities for this transformation through activities balanced with unstructured time. One of these activities involved gathering each day to hear one of our stories. We each had 10 minutes to share with the group whatever we wished, talking about ourselves and what brought us to where we are today, followed by the opportunity for those in the group to comment and ask questions. 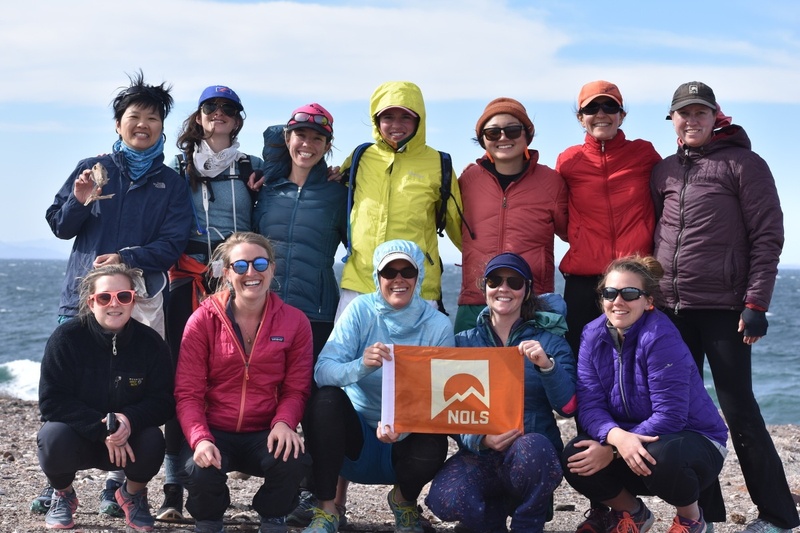 It was a beautiful exercise that left me wishing I'd done it on all of my NOLS expeditions. The risk that each of us took to authentically share during our gatherings would turn out to be unexpectedly valuable in achieving our stated goal. This process of group development, however, took time and attention. For me, this required patience. I felt like our group took a while to evolve into an "us" identity, and then more time to become infused with our vision. I remember the moment we owned the vision. We were on the water, at our decision point. The plan for the day had been to paddle a few kilometers north to check out conditions, reach a decision point, and decide whether we could take a longer or shorter route. The conditions had been too windy to paddle for the last few days, which meant we'd have to put in some long miles if we decided on the longer route. 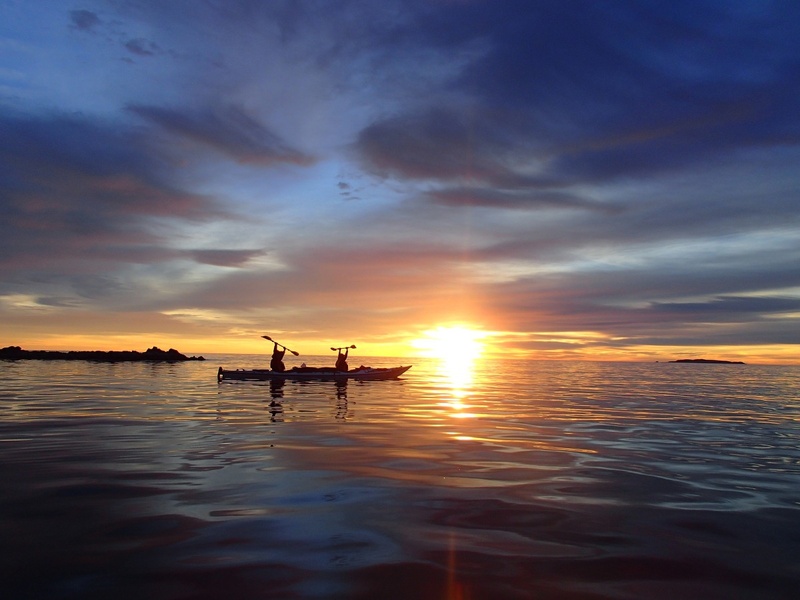 Paddling at sunrise. Photo by Alison Schaefer. At our decision point, conditions looked good. As one of the group's designated leaders that day, I announced "Everyone, we have opportunities and decisions. We can choose to camp here and head back towards the Bay tomorrow. We can also continue along this southward route, which the instructors will tell us more about." Questions were asked: "What's the remaining paddling distance today? How far did we paddle so far? What time will we be getting up? What will our paddling days look like compared to what we've been doing?" Questions were answered: "Today will be a much longer day than what we've done so far, around double the kilometers that we've paddled on a single day. Our upcoming days will be earlier starts, on the water at 6:30, with full days and less leisurely paddles." People began offering opinions: "Well, I'm in, we've come this far," "I think we can do this, look at what we've done so far." "I'm up for some longer paddling days." We'd heard from all but one person. So far, everyone was in agreement to travel the southward route. What would this one say, and how would we handle her response as a group? I wondered. She said "I've really been enjoying our pace so far and it's been very important to me to have solo time in the morning to recharge. How long will our paddling days be if we're on the water at 6:30?" An instructor responded "We'll be off the water by about 2." "Ok. And then what will the rest of our day look like?" the student asked. The instructor answered, "We'll have time to snorkel, practice skills, beach walk, read or relax. We have lots of options." "Ok. I think that being off the water by 2 helps me and gives me opportunity for the quiet time I need. Sure, let's go ahead." The instructors checked— "Are you sure that this works for you and we've addressed your concerns?" The student replied, "Yep, I feel comfortable, let's do this!" 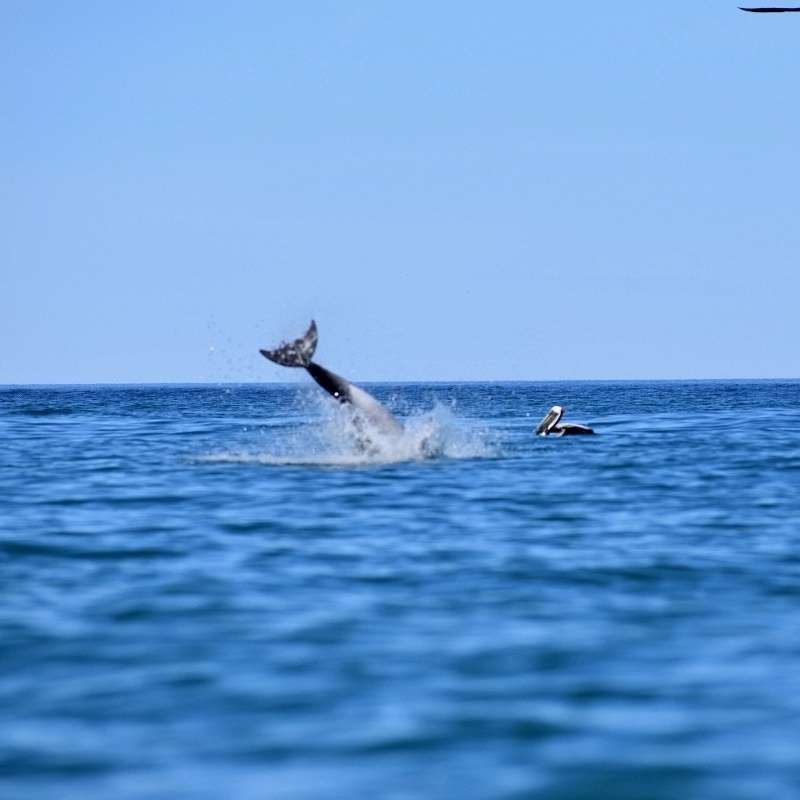 Dolphins celebrated our decision: they jumped, we cheered, they raced, jumped to the surface and we moved forward. With the dripping sound of water from my paddle blade, I let air fill my lungs. My rib cage expanded in all directions and I drew my attention into my spine. I thought "I can't believe we just chose that! Up to this point, we seemed to value slower days and a relaxed pace on the water. And to choose a harder route with such a respectful, collaborative process. This decision seems so opposite of who we've been as a group up to this point. This is exciting." I smiled at the smooth feel of my paddle blade in the water. I felt deeply content. Proud to belong to this group of women. We embodied the vision. All of the non-linear time and space in our group had built a foundation of value, respect, and unity to allow us to authentically offer our opinions and work together to make a decision. Now, here we were on this different-than-expected exploration requiring new and different things from each us, individually and as a group. 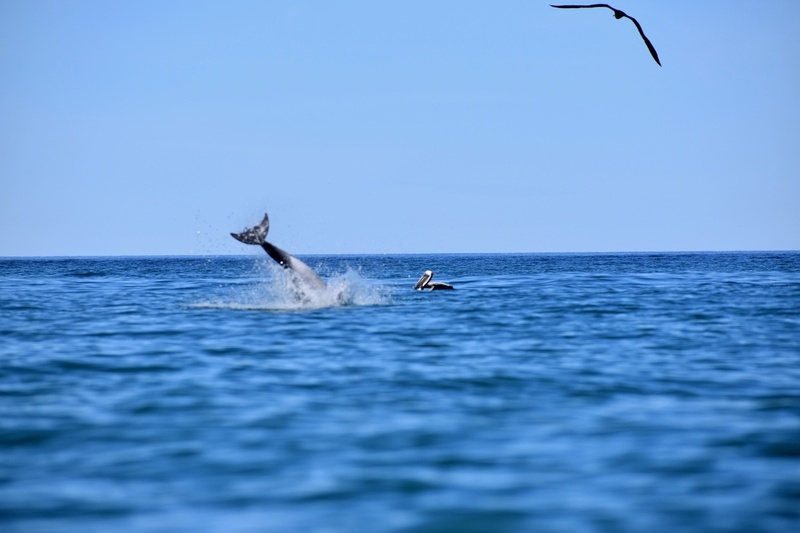 Dolphin and pelican. Photo by Lynn Petzold. The last night in the field, we were sitting at our nightly meeting. 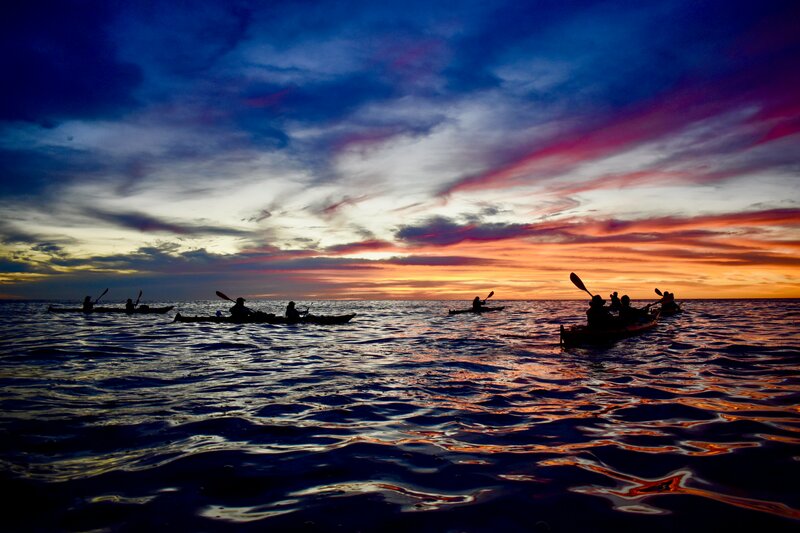 One of the instructors said, "Let's start tomorrow with a sunrise paddle." One of us asked "What time is that?" "Launching at 6:00" was the reply. "We should arrive at our pick-up at 8:00 so we can organize gear and get the boats ready for the trailer." One of the student leaders of the day took charge "So what time do we need to get up?" Someone replied "it's been taking us about 2 hours to get up, have breakfast and be launched." The leader of the day offered "so, 4 am wake up?" "Yes" was the consensus. It was decided. We never referenced the instructors. They remained quiet. This was a crucial moment for me. In this moment, we transformed from the hesitant participants that characterized our early days in the trip to confident women. 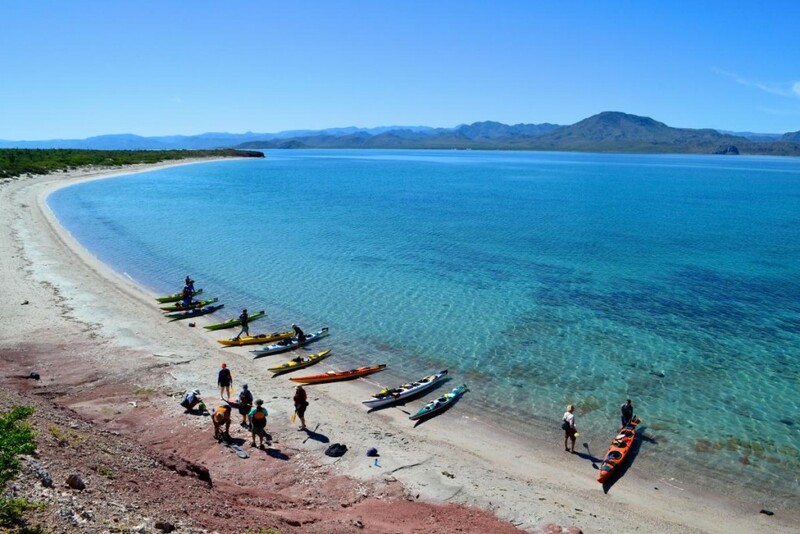 We embodied the belief that "We can travel, camp, and navigate kayaks in a remote location!" We were empowered. The non-linear leadership style worked! By prioritizing group formation and building relationships, the instructors facilitated the group's development of the foundational qualities that made it possible for each one of us to be honest in sharing our opinions. It helped us demonstrate respect and care when hearing opposing views that had the potential to seriously impact our experience and our choice to take a risk as a group. We had been risking individually as we each shared our stories. Taking individual risks, I believe, led us to be able to risk as a group. We had transformed as a group through our diversity of strengths and through cultivating an environment where individual contributions were good for the whole. Happy and empowered! Photo by Lynn Petzold. Here I am, one shower later, on the plane headed back to my current place of residence. I still have more dirt under my now broken and cracked fingernails than I'd like to admit. I'm returning to an environment that values linear and concrete thinking and processes. I have a non-linear leadership style and have found the value and pressure for linear thinking and processing challenging. But now, I carry back an embodied and experiential sense of what it means to be a non-linear leader. The process looks different. I can choose to hold space for myself and others to sit with some uncertainty. I can prioritize, emphasize, and value holding space for relationship, the development of community, and formation of group identity. At the same time, I can respect the pace with which each group formation occurs and balance the practical needs required by the situation. With this space held, tasks and goals rise up from within the belly of the group. This cultivates ownership and empowerment. And that is a mark I want to leave on this world. Jen is an adventurer who enjoys novelty and the sense of being part of something larger than herself. She often finds this experience in nature where she kayaks, hikes, bikes, and backpacks.